Keep it simple. Keep it country. 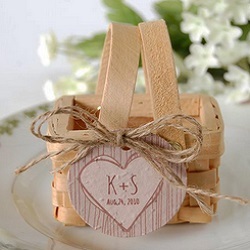 Keep it all about the vows, the beauty and the love and the rustic wedding theme favors. Rustic weddings are often held outdoors in rural locations, but small churches, farmlands and other out-of-the-way venues will work as well. Surround yourselves with Mother Nature and put together a wedding that will uplift and inspire your guests to keep what really matters at the heart of their lives. As you plan your rustic wedding, think about natural colors that deliver a sense of peace or excitement. Find decorative items that reflect the simplicity as well as the intricate details of the natural world around you. Think about symbols of life outside the city, including horses, trees, flowers, worn metals and cowboy boots. 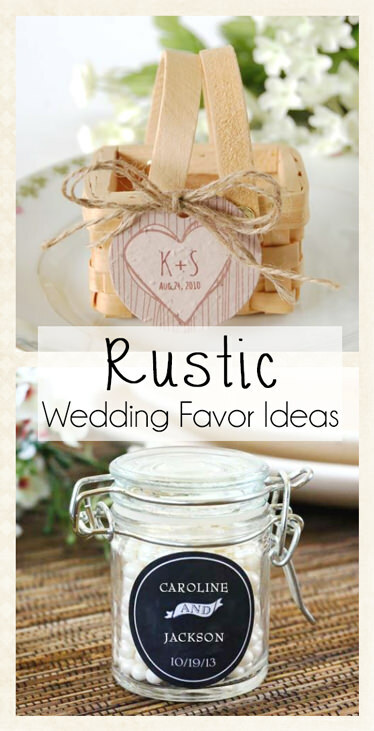 Tuck wildflowers in your hair, sink into your most comfy boots, and pick up some of these rustic wedding favors so that your guests go home with a touch of the good life. 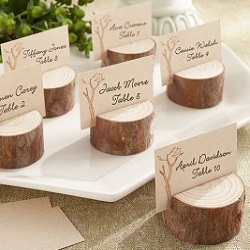 Real Wood Place Card/Photo Holders - Don’t underestimate the value of these small chunks of natural wood. They look like small logs of freshly chopped tree, and pre-cut place cards come with purchase. You may also use them to hold pictures, so you can think of creative ways to incorporate them into your decorative theme. If you want to use them for seating arrangements, simply fill out the cards and place them at the appropriate seats. Personalized Plantable Seed Tag - These tags have attached wildflower seeds, so your guests can plant them after the wedding to watch your love grow right in their yards. The paper naturally breaks down after planting, and the seeds are never loose to make a mess. 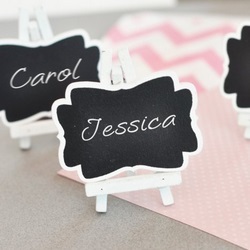 You can attach these tags to place card holders, favor boxes, small baskets or other items that you want to send home with your wedding guests. You can personalize the tags with your wedding date or another special message. You may also want to hand out plantable herb favors if you find this idea intriguing. Personalized Milk Jars with Straws - There are few things sweeter than watching a child sip milk from an old-fashioned milk jar. 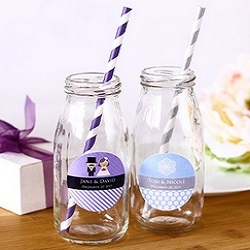 These jars come with customized labels and decorative straws, so they fit the rustic wedding theme while adding a splash of color to your decorative design. These jars can go home with your guests, giving them something country to enjoy in their modern homes. Barbecue Sauce – Personalized Labels - Would you like to have your own barbecue sauce? This is your chance! 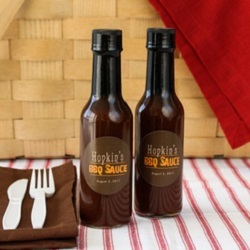 Whether you are serving steak at your wedding reception or not, your guests will appreciate these mini bottles of BBQ sauce with your customized label. It gives them something tasty to look forward to after they go home. 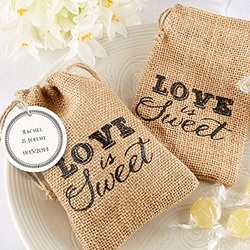 Burlap Drawstring Favor Bags - Each of these burlap favor bags read “Love is Sweet” across the front. They are adorable and versatile, so you will find a variety of ways to incorporate them into your reception décor. 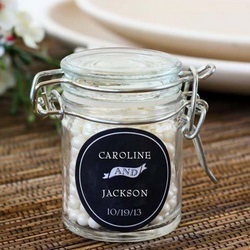 Fill them with candy, mints, jewelry or personal notes of gratitude to each of your guests. 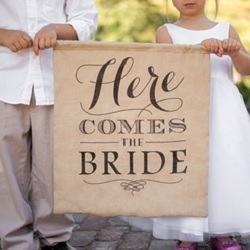 Your guests will take them home as keepsakes from your memorable wedding day. The bags are sold in sets of 12. 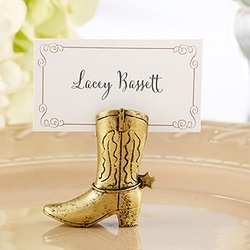 Cowboy Boot Place Card Holders - Bring the Sheriff into town with these adorable gold cowboy boot place card holders. 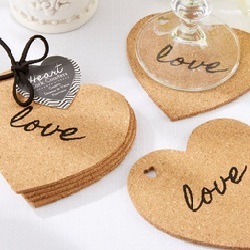 You can use them to hold pictures, love notes to your guests, or simple cards for seating arrangements at the reception. If your rustic wedding is all about keeping it country and keeping it simple, you can’t go wrong with a few cowboy boots in the decorative mix.